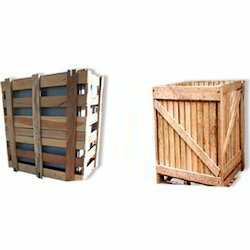 Having year of experience, we are involved in offering best quality of Wooden Crate. We manufacture world class Wooden Crate that are designed specifically for multi stacking & multi handling. Our wooden storage crates are used for the storage of many products such as potatoes, fruits, onions, vegetables and more. Our product line includes: all types, sizes, lengths, ODC equipment & customization in this product is available to facilitate any specific demands of the clients.